Over the weekend, I worked on a quilt. Do you remember this one? Yep. It's been years since I finished that quilt top. The points are cut off and the seams don't match at all. It was one of my first and I consider it a learning experience. 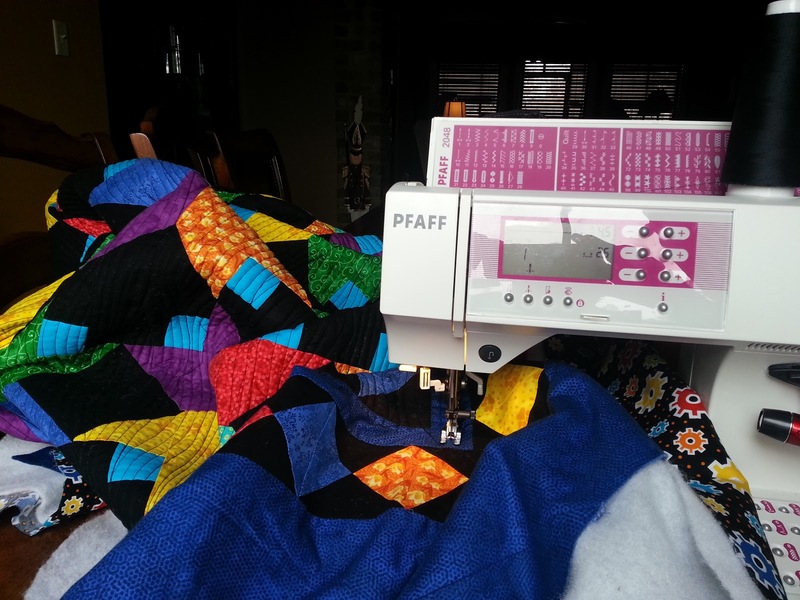 So, what better to do with it than to use it to experiment with free motion quilting, right? Right. I also tried poached eggs for the first time ever. Yummy! 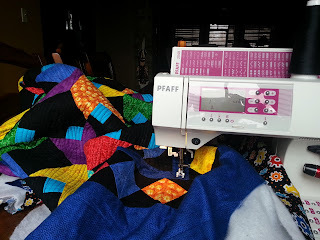 Nice Quilt and way to experiment!